The IPR Organizational Communication Research Center is developing an agenda as knowledge aggregator, model innovator and thought leader in the area of employee communication and engagement. The Trustees of IPR selectively invite other leaders in the field to join in funding this work and participating on project steering committees. 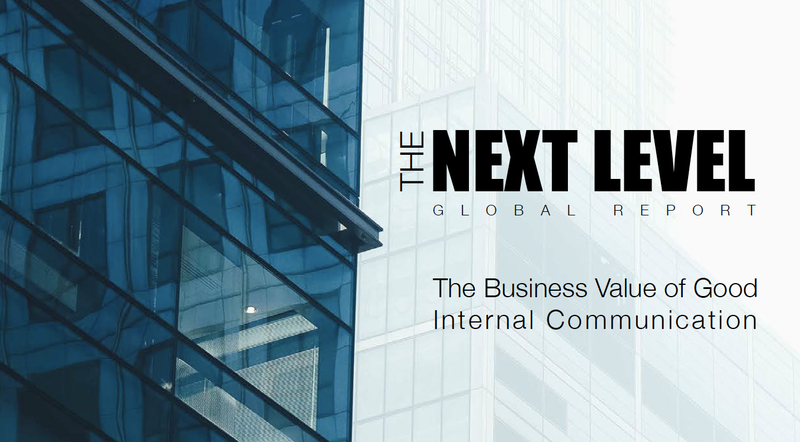 With social, economic, political and technological transformation sweeping the globe, no other discipline will prove more important to business leaders over the next five years than organizational communication. The Center will play a critical role in shaping the global practice of organizational communication; in ensuring that critical knowledge for guiding current and future leaders in our profession is readily available; and in creating new communities – real and virtual – where tomorrow’s leaders can network, seek solutions and ideate tomorrow’s models. We define organizational communication broadly to refer to communications and interactions among employees or members of an organization. This includes: 1) The formal communication efforts of the organization (planned products and services typically produced by communication professionals, e.g., newsletters, Intranets and prepared executive videos); 2) group communications that occur within, among and across work teams and units; and 3) leader and supervisor verbal communications and behaviors. Every effective organization has a central process through which employees and members share information, create relationships, make sense of their organization and “construct” culture and values. This process combines people, messages, communication channels, diverse meanings, practices and purposes. Internal communication is the foundation of modern organizations. Communication is one of the most dominant and important activities in organizations because relationships grow out of communication, and organizations function and survive based on effective relationships among individuals and groups. Communication helps individuals and groups coordinate activities to achieve goals, make decisions, solve problems, share knowledge and manage change processes. Internal communication also provides employees with important information about their jobs, organization, environment and each other. Effective communication can help motivate, build trust, create shared identity and spur engagement; it provides a way for individuals to express emotions, share hopes and ambitions and celebrate and remember accomplishments. In the past half-century, researchers have conducted hundreds of studies in human resources, management, psychology, sociology, organizational studies and public relations. The studies have focused on a range of topics, though many group around four elements in the communication process: 1) communication sources or senders, 2) messages and message contents, 3) communication channels, and 4) communication receivers. Other important research areas include measurement and evaluation of internal programs and development of models and theories that help describe and explain this function. In addition, three relatively consistent research findings place these factors at the core of effective internal communications: 1) The words and behaviors of senior leaders, 2) the communication skills and behaviors of front-line managers and supervisors, and 3) the communication climate and organizational culture. Step #1: We identify relevant studies by reading professional and academic journals, attending conferences and otherwise seeking out new research from diverse sources. Step #2: We select appropriate studies, articles and books for inclusion in the data base. Once studies and articles are identified, an academic team reviews the research to determine whether it is appropriate for inclusion in the OCRC. Criteria for inclusion are: a clear focus, high quality of the method and overall research project, significance of the findings and “newsworthiness,” among other factors. Step #4: We enter the research abstract and document/link into the appropriate OCRC topical category so that it is available to the public. All new entries are headlined on the OCRC home page. Step #5: We evaluate use of the OCRC by regularly monitoring the: 1) number of visitors to the site, 2) frequency of visits to particular research documents, 3) number of downloads, 4) comments of visitors to the site, and 5) other measures that may us continuously improve the site and its value. IPR’s Organizational Communication Research Center (OCRC) is your comprehensive source for game-changing employee communication research, best practices and measures. If you want to learn more about engaging employees, building trust and improving communication climate, this is the place.